Don’t be caught off guard by scheduled roadwork. Whether you are planning a trip for business or pleasure, make the most of your travel time by checking our convenient weekly roadwork schedule. M-W: I-81 South between Exit 155 (Dorrance) and Exit 151 (Stroudsburg/Bloomsburg) will have lane restrictions for concrete patching from Monday (8/5) to Wednesday (8/7), 7 a.m. to 3 p.m.
*I-81 North Between Exit 170 (Wilkes-Barre) and Exit 175 (Dupont/Pittston) will have lane shifts for Bridge replacement over Sunset Road and Old Boston Road beginning Monday, July 29 and will continue until spring of 2014. *I-81 both directions between Exit 178 (Avoca) and Exit 186 (Dunmore/Drinker Street) will be single lane for resurfacing Sunday to Friday, 8 p.m. to 6 a.m. until late October. 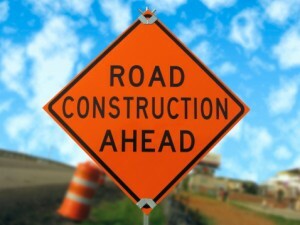 *Interstate 81 North between Exit 186 (Dunmore-Drinker St) and Exit 190 (Dickson City/ Main Ave) will be single lane for grinding from June 17 to September 1, 7 p.m. to 7 a.m.
M-W: I-81 both direction between Exit 190 (Dickson City/Main Ave) and Exit 194 (Clarks Summit) will be single lane for a traffic switch from Monday (8/5) to Wednesday (8/7), 6 p.m. to 6 a.m.